Identifying the best technology to improve marketing performance is a complex decision, especially for a growing marketing organization. Deciding where to spend valuable capital should be based on the greatest opportunity for gain. In the current marketing environment, the greatest opportunity is in analytically enabled marketing. 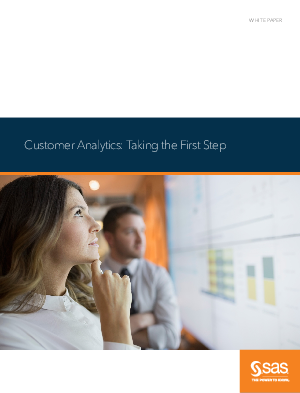 Analytical enablement can be divided into three areas: Understanding the customer. This can take many forms, but the most important aspects are customer behavior and customer value. Understanding how a customer engages with a company and how much value they create for the company is imperative because it enables you to determine where to dedicate valuable marketing resources. Developing usable insights. Developing a more complete customer profile enables you to determine the products a customer may be interested in or actions a customer may take (such as suspending service). Armed with the knowledge of a customer’s likelihood to take a specific action or buy a specific product, marketers can tailor messages to customers’ interests. Putting those insights to work. This means taking those strategic insights and making them part of daily marketing processes. Your campaigns will no longer be broadly targeted with generic messaging. Instead, they will be tightly focused using personalized messaging for each customer to get the best reaction possible.